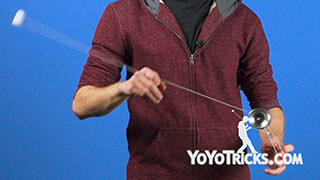 Learn the Windmill Yoyo Trick, AKA the 5A Pinwheel. 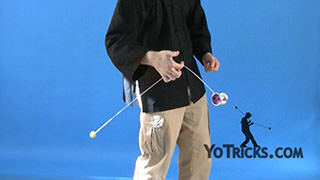 Windmill AKA 5A Pinwheel Yoyo TrickThis is the 5A Pinwheel, it looks like this. 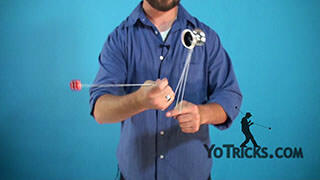 You want to make sure that you have learned your 1A Pinwheel first, as the whole trick builds off of that. If you are just starting out, it is actually a little bit easier to start by doing a couple of pinwheels because it builds up momentum, but you want to exaggerate the motions. 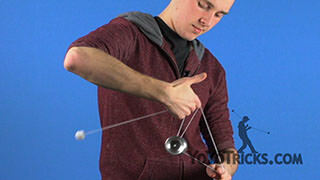 Rather than doing small pinwheels, you really want to give it a lot of string. 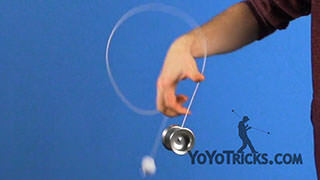 Let it get a nice big circle. 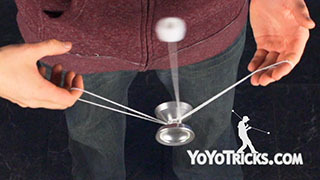 That will give it the right amount of momentum to let the counterweight swing it around, which is exactly what you want. 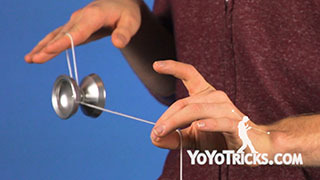 To get the counterweight to swing around, when the yoyo comes around above your head, over on the outside, so right about over here, you are going to let go of the counterweight. 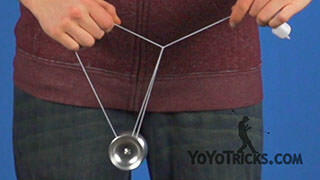 If you keep your finger straight, the yoyo will actually pull the counterweight and it will swing around your finger. I’ll show you what that looks like. 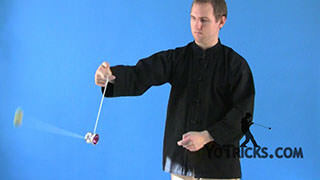 Get a nice good Pinwheel. 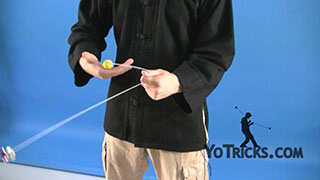 When it comes over your head keep your finger straight. 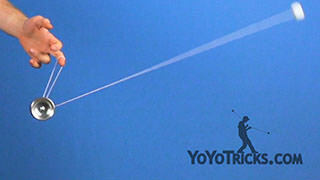 You can see the counterweight swings right over. 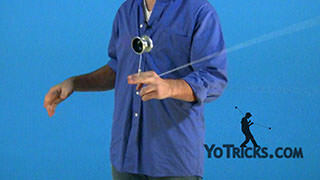 To catch it you will find that you actually need to pinch the string with your thumb as the counterweight comes around. 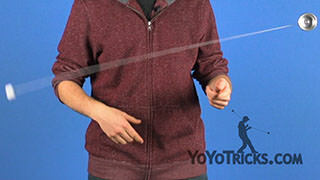 You may even fold your index finger if that helps you out at all. 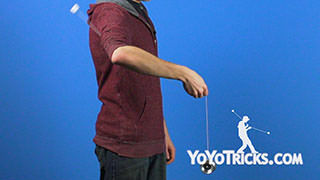 What that is going to do is it is going to slow the counterweight down enough for you to catch it with your hand facing inward, just like you would normally want to. Again, you get a nice good Pinwheel, nice and big. Let it come around, pinch. 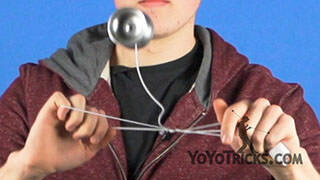 You can catch that counterweight. 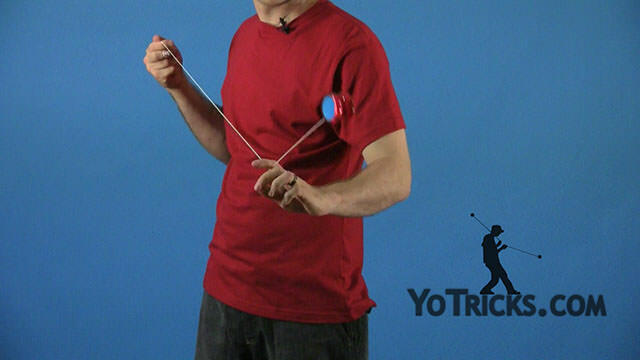 Once you get really comfortable with this trick you can start putting it together in multiple repetitions. To do that just get your Pinwheel going, release, catch. 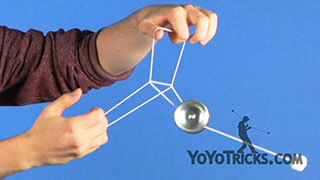 You will notice that the yoyo has lots of momentum to swing around. 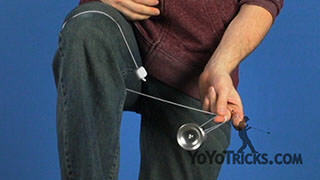 You are just going to take your yoyo hand and pull. 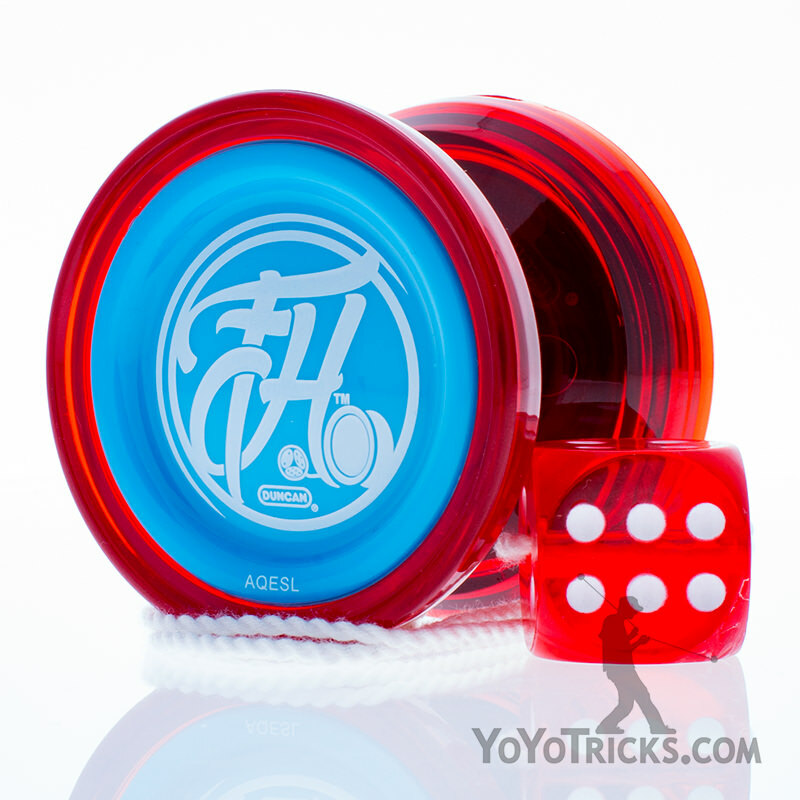 That will speed up the yoyo. 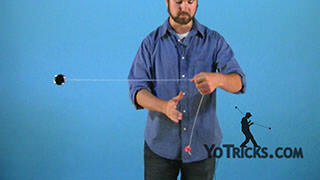 You can just release, catch. 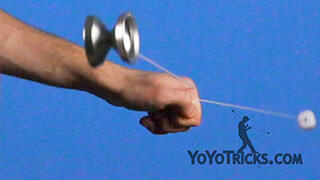 Pull, release, catch. When you really get comfortable, you can just keep putting it in there, no pause. Just like this. 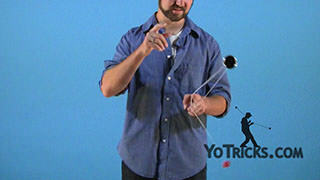 You can see it is just a really nice trick when you do that. It is a lot of fun. 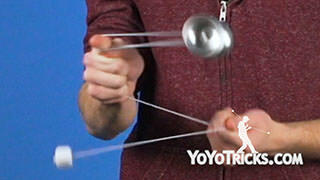 It can also be used to transition into different mounts, like your Trapeze or Double or Nothing. 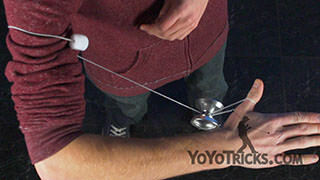 We will show you that in some later videos, but for now that’s the 5A Pinwheel.